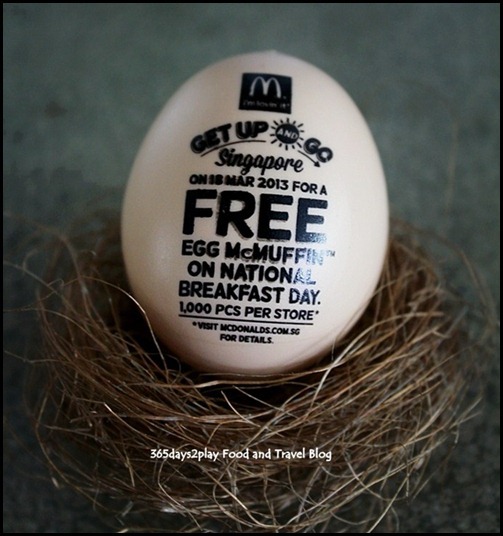 FREE Egg McMuffin giveaway on 18th March! National Breakfast Day will be held on March 18, 2013 (Monday). 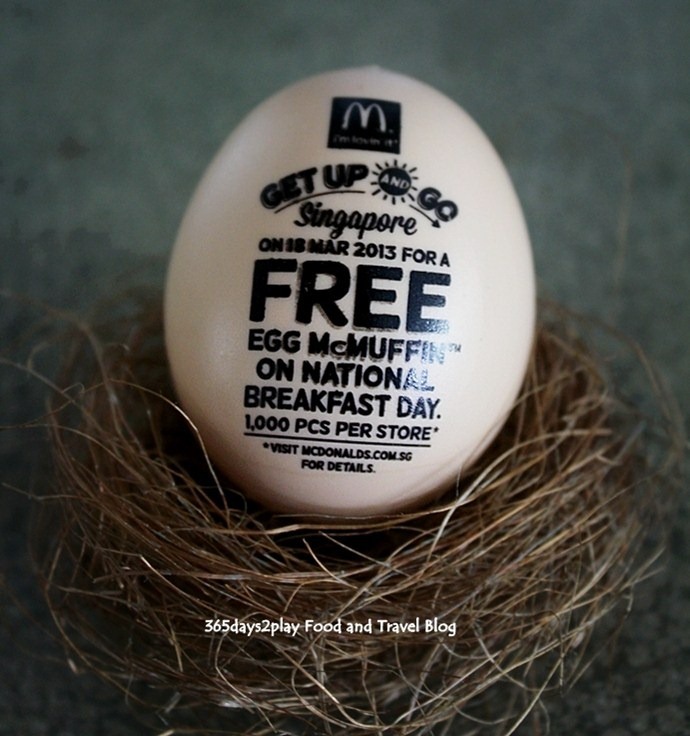 1000 Egg McMuffin™ will be given out, per participating store, while stock lasts. For more details, scroll down.